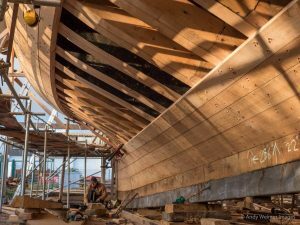 Based at the Rhoda Mary Shipyard on the bank of a river where so many fine wooden sailing ships were built, The Falmouth Pilot Cutter CIC is recreating a traditional environment where we hope many projects of historic maritime importance will take place. 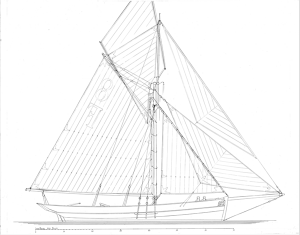 The Falmouth Pilot Cutter CIC plans to nature and train young people in the art of shipbuilding, and create a new generation with skills and knowledge of the seas. 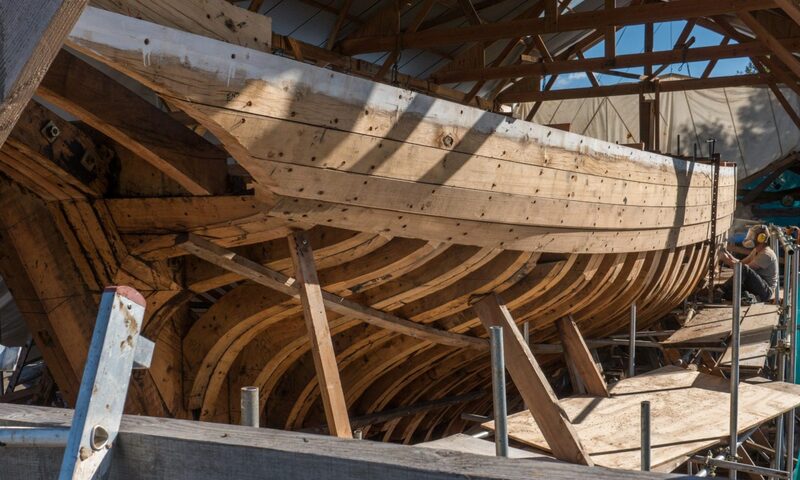 Once launched, the Pellew will remain based in Truro and sail the seas giving opportunities for apprenticeships in the traditional trades and seamanship associated with such a vessel. 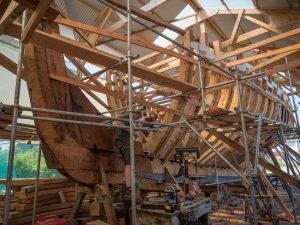 For many years there has been a desire to resurrect a legendary Falmouth Pilot cutter; and rekindle wooden shipbuilding in Cornwall. We have chosen to faithfully recreate one of the longest-surviving and best-documented of the cutters, the Vincent, built in 1852 for the Vincent family of St Mawes. She worked successfully for 70 years until being retired in 1922, ending her days as a houseboat at Freshwater on the Percuil River. 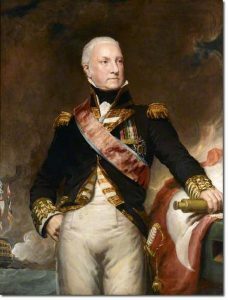 Our vessel will be named Pellew in honour of the great Cornish maritime hero. Cornish pilots developed their profession to a high standard. With a good cutter they could earn well, but if their vessel was slow, there were no wages; only the best survived. This demand created a most beautiful vessel, fit for purpose, fast to compete with the other cutters and yet seaworthy to survive the harsh conditions. 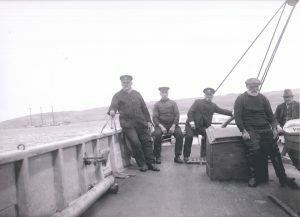 The Cutters would sail west into the Atlantic beyond the Isles of Scilly in search of ships. Each carried eight pilots. They would return to port only after all pilots were placed. 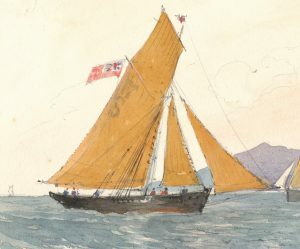 At times, if a further sail was sighted, the skipper of the cutter would also ship off as a pilot, leaving just the boy to sail the large pilot cutter home.